Kick off the holiday season with a piece of the past. 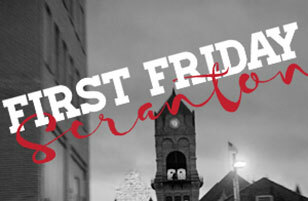 Scranton designer Valerie Kiser will release the latest pieces in her ornament series focusing on the Globe Store, the city’s beloved department store that closed in 1994, with a release party Friday, Nov. 3, at Lavish Body & Home, 600 Linden St., Scranton. Kiser will meet guests and sign the glass balls at the event, which runs from 6 to 9 p.m. as part of the First Friday Art Walk. After Woodard and her husband, Micah, bought Lavish three years ago, they approached Kiser about creating an ornament around the Globe Store. Kiser moved to the area during the Globe’s final year in business, but like the Woodards, also transplants to Scranton, she heard many stories about holidays in the store’s heyday. 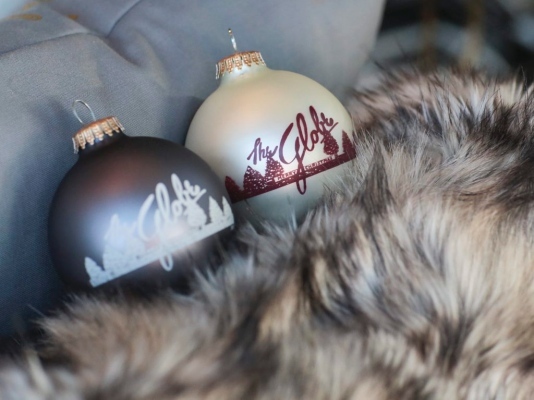 Hearing her customers share their memories of the Globe at the holidays reassured her about going with a Christmas-geared design for the ornament, Kiser said. “Good design works when it can connect on an emotional level,” she added. Kiser tweaked the design for this year’s edition, focusing less on the Globe building and more on the Christmas trees. Lavish will sell the ornaments in two colors on Friday: a charcoal ball with an ivory-colored design, and an ivory ball with a cranberry-colored design. Kiser also will sell a third version — ivory with a black design — at the ScrantonMade Holiday Market, which will take place in the former Globe Store on Wyoming Avenue from Friday, Dec. 1, through Sunday, Dec. 3. The ornaments cost $20 and are dated for 2017 because people have begun collecting them, Woodard said. Lavish also will sell pillows and greeting cards featuring Kiser’s original Globe Store design. Woodard said she and her husband did not expect the ornaments to get as big of a response as they did.